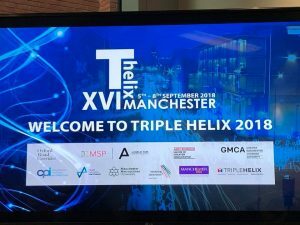 The XVI International Triple Helix Conference, hosted this year in Manchester, is just ended and we would like to provide our community with some preliminary highlights on this successful Meeting. Almost 300 delegates from about 40 countries attended the Conference. We had more than 55 sessions or special panels, 18 entries for the Best Paper competition, 16 posters registered for display, 1 master class, and several tours. Multiple sponsors have been involved. 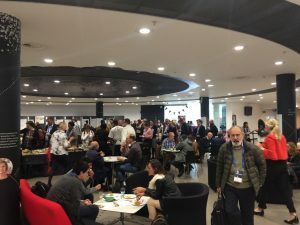 The conference was truly diverse, with a broad gender balance across all aspects (Scientific Committee, Keynote Speakers, Session Chairs, and Presenters) and significant representation of Early Career Researchers (ERC), including those supported by more than 35 ECR travel scholarships provided by the University of Manchester Hallsworth Conference Fund. Among the highlights of the conference were Luke Georghieu’s discussion of Manchester University’s Triple Helix interactions, Rune Fitjar’s analysis of the substitution of relational capital for intellectual capital in development strategies and Sheri Breznitz’s keynote on comparative university-industry modalities. novel methodological approaches to Triple Helix, for instance the Living Lab, machine leaning and network analysis of social media. All these tend to further mature the Triple Helix model and realise its potential in guiding both research and practice on innovation. A full report of intellectual highlights follows in the upcoming issue of Helice. the Professional Conference Organizer, Conference Partners International for an excellent curation of the Conference communication & logistics. insights from Germany”. 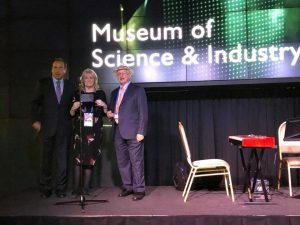 The concerned award recognizes the most valuable paper published in THA Triple Helix Journal in 2017. 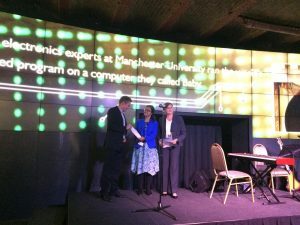 2018 Early Career Researcher Best Paper Award and 2 Runners up, respectively to Mr. Sergio Manrique, for the paper “Personal Networks and Trust in Public-Private R&D Partnerships: A Case Study from Spain” (Winner) and to Ms. Qianqian Zhang for the paper “Design of A Virtual Network Organization for University-enterprise-government Cooperative Scientific Research Projects with University-dominant Model” and to Ms. Oishee Kundu and and Mr. Nicholas Matthews for the paper “The Role of Charitable Funding in University Research” (Runners up). 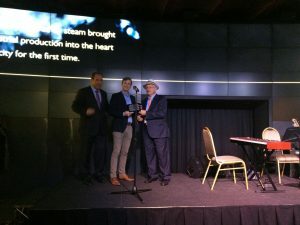 The concerned award recognizes the most valuable paper submitted by an Early Career Researcher (ERC) in response to the XVI International Triple Helix Conference 2018 call for abstract.